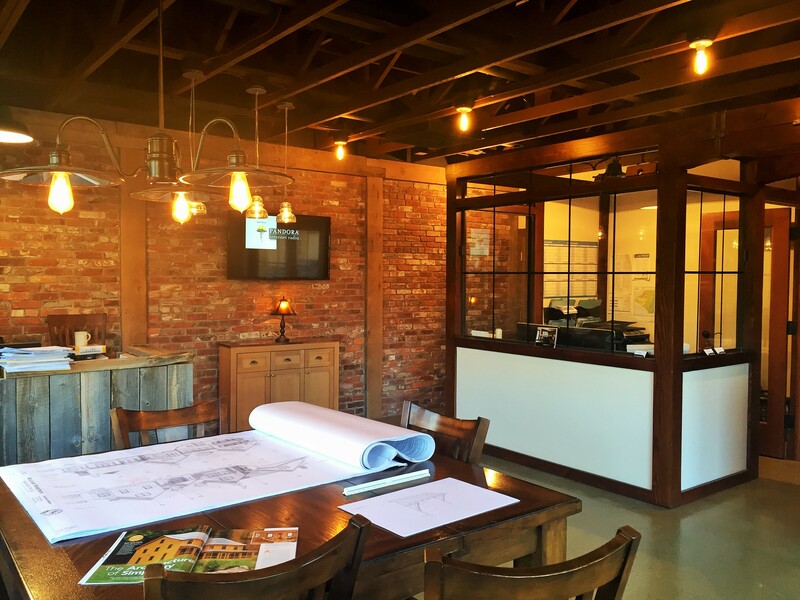 "Our Mission is to inspire people through the creation of beautiful and finely crafted spaces. Our desire is to bless and enrich the lives of our clients and employees by fostering a culture of Respect, Creativity, Devotion and Skill." WillowRidge president Josh Sundstrom has a true passion for his work. Carpentry runs deep in the family roots, tracing back to his great-great grandfather “Pa” Stark, who was a Swedish shipbuilder and timberframer. Josh has been working in the trades for the majority of his life, gaining a broad exposure to a variety of occupations, from metal working and boat building, to timberframing and almost everything in between. He has also been profoundly interested in design from a young age, and has continuously pursued a deeper understanding of what makes buildings and spaces enhance our lives. Underlying Josh’s devotion to building, is a strong faith and a special love and appreciation for his family. There’s nowhere he’d rather be than ‘Maple Hill Farm’, spending time with his wife and three kids, and passing on his respect and admiration for the natural world. Josh is honored to be at the helm of a team that is devoted to living out the mission of WillowRidge Construction. As a Minnesota native, Tim grew up in the trades learning stone masonry, design, and home building from his father. From there he went on to interests in aviation, working several years as a commercial pilot and mechanic, which included some work in East Africa, before returning to the construction industry. Upon his return to the Midwest Tim co-founded a custom woodworking business which grew to incorporate custom homes, before joining the WillowRidge team in 2011. He enjoys the wonders of Alaska and loves sharing life’s many adventures with his wife and five children. Since Joining the company Tim has been instrumental in the refinement of our business strategy; streamlining systems, creating organizational programs, and coordinating resources. Tim's duties as General Manager are quite varied, but he tackles each new challenge head on; with his foundation in construction, his systematic approach to management, and a steady positive outlook he keeps things moving forward. Tyler brings both energy and experience to the WillowRidge project management team. As a young man he apprenticed in carpentry under his grandfather’s tutelage and then gained valuable management skills through several years in the North Dakota oil fields. In 2003 After relocating to Alaska he founded his own construction company, which he operated successfully before joining WillowRidge several years ago. Our clients and crew have appreciated Tyler’s positive attitude, clear communication, and determination to find solutions to the varied challenges of remodeling and home building. Tyler competed in Cross Country running in college and still enjoys hiking in the beautiful mountains of Alaska! He is also a devoted husband and father of four children, and a fitness instructor. Where would we be without a guy like Trent? He is always on the go, cataloging the endless stream of requests for deliveries, tools, and labor needs on the job sites, prioritizing them for efficiency, and coordinating crews and equipment to meet the varying demands. Trent has a gift for encouraging, a keen awareness for detail, and strong work ethic forged on the prairies of Montana. He has worked in a number of construction related industries, as well as running a very successful business for many years. Beyond his role on the management team at WillowRidge Trent is an avid hunter and outdoorsman with an equipment inventory and antlers that rival the local Outfitters! 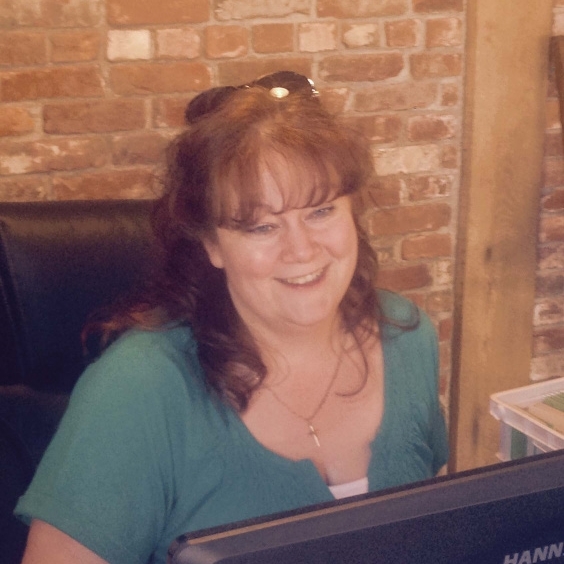 With a Bachelors degree in accounting, Sara has helped many local businesses keep their books straight, and manage operations. Her approach is focused and efficient, and she has been a critical part of our team for over a decade. Originally from Eastern Europe, Emil relocated to the United States in 2003 where he continued building his experience in the tile and carpentry trades. His blend of precision and production make him a very capable journeyman. He is married with four children and together they enjoy life in Alaska including fishing, hiking, and exploring creation. Originally from the Caribbean Island of Dominica, where he learned his trade, Finbar has provided skilled stonework for many years here at WillowRidge. He is also a capable carpenter. Outside of work, he likes to fish and bike in Alaska, and spend time with his family. With a strong work ethic, Jeremiah is a reliable, skilled craftsman, constantly striving to hone his skills. Originally from Western Alaska, Jeremiah has been employed in the construction industry for much of his adult life. Married with three children, his interests are woodworking, boat building, and fishing. With an Economics degree in college, six years in commercial construction, and countless hours of residential construction work and extreme skiing interspersed, Jon brings a well-rounded background to his work here at WillowRidge. He and his wife enjoy skiing, surfing, and a variety of other outdoor pursuits. Josh is a studious carpenter with a quest for quality. His background includes design and management but he prefers to stay hands-on, producing fine finish work. He is married and enjoys Alaska’s winters for snowboarding while hiking and gardening in the warmer months. Josh was raised in Interior Alaska and has been working hard since he was a little guy. He has learned the benefits of hard work, and the intricacies of the trades from his father and many others over the years. His genuine skill, proficiency, and constantly positive outlook on life make him an invaluable part of the WillowRidge team. Josiah is a young talented draftsman with a knack for anything technical. He provides computer drafting services for our design team along with IT support throughout the company. Outside of WillowRidge he is exploring interests in film making and photography. Kevin’s love for carpentry shines through in his hard work, skill, and dedication to a job well done. He likes hunting, fishing, and occasionally visiting the gym during off-hours. Kevin and his wife are expecting their first child. Konstantin was born and raised in Eastern Europe where he spent many years as an artisan and commercial fisherman before moving to New York City, where he was a professional cabinet maker for over a decade. He is now running the WillowRidge cabinet shop where he produces a variety of fine cabinetry for our projects. Matt is an enthusiastic worker with a great aptitude for learning skills quickly and then applying them at a high level. His positive, can-do attitude is a welcome addition to any jobsite. An avid hunter and outdoorsman, he and his wife hiked the Appalachian Trail, covering 2189 miles in 131 days! Vanancio has joined WillowRidge after a number of years in various construction trades as a flooring installer and painter. His hard work and meticulous approach are much appreciated.